Can We Talk About Kickstarter's New Squishy, Podgy Blob? 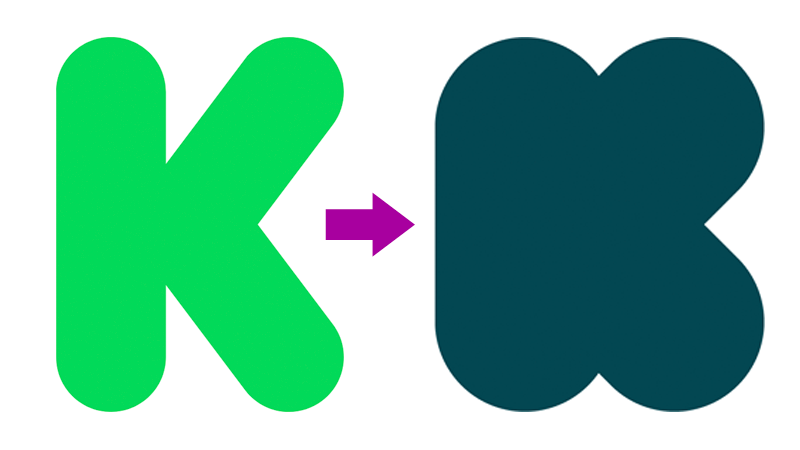 Kickstarter revealed the Amorphous Blob responsible for eating its old logo eight days ago. Eight! And hardly anybody has noticed. The Globby Thing, dark greenish-blue and oozy, was created by New York design studio Order and type designer Jesse Ragan, and it has perched atop the crowdfunding site for more than a week, seemingly overlooked by Kickstarter’s millions of users and noticed only by design and branding blogs. It’s squishy and podgy and surely designed to enhance the overall Kickstarter fundraising experience. Where a curvy neon “K” once proudly stood, in stubborn defiance of most minimalist corporate tech logos, there now slumps a fully satiated goop monster, apparently frightening no one. The semiliquid blob seems very much pleased with itself, but it faces one digestive challenge: inside, the mass is supported by the skeleton letterforms of Kickstarter’s old logo design. Whether this blob is responsible for gobbling up the company’s missing executives remains unclear.